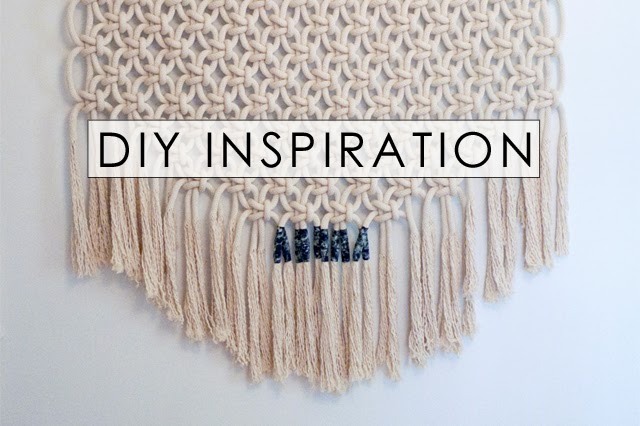 Here are some modern twists on macrame that inspired this week's DIY project. 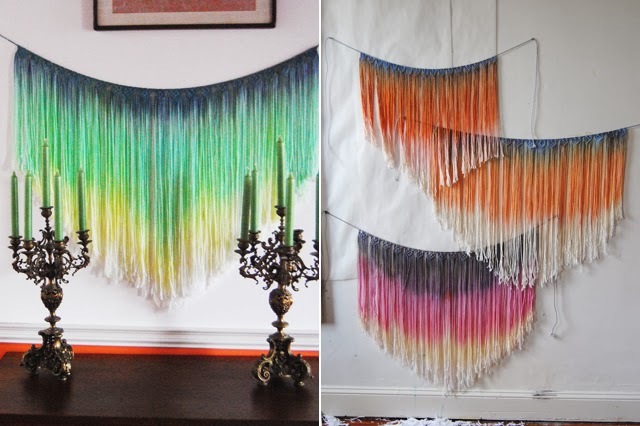 To keep your macrame from looking too hippy dippy, go with plain white white or add some crazy dye. Or, when all else fails, use black rope. Instantly cool. 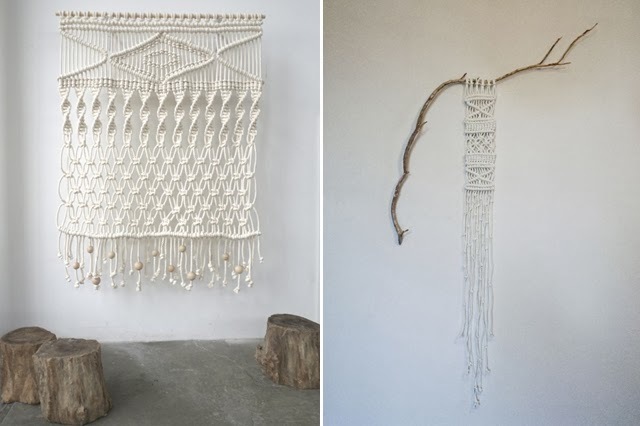 Wall hanging and small white macrame with found branch from Sally England. 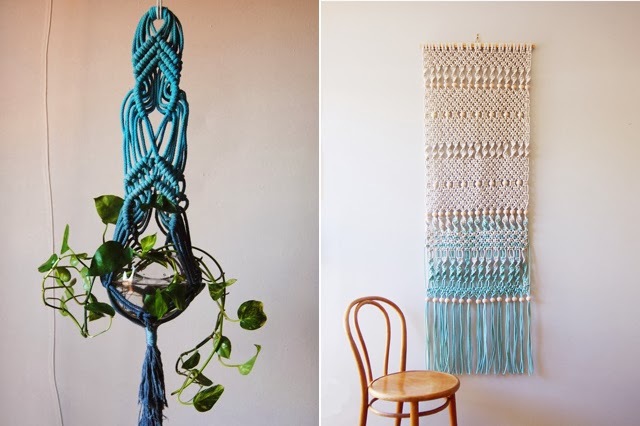 Blue macrame planter from Slow Down Productions. Dip dyed blue macrame from OuchFlower. 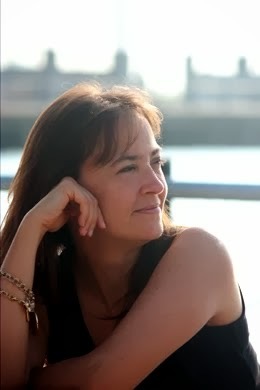 Multi-color macrame from Slow Down Productions. 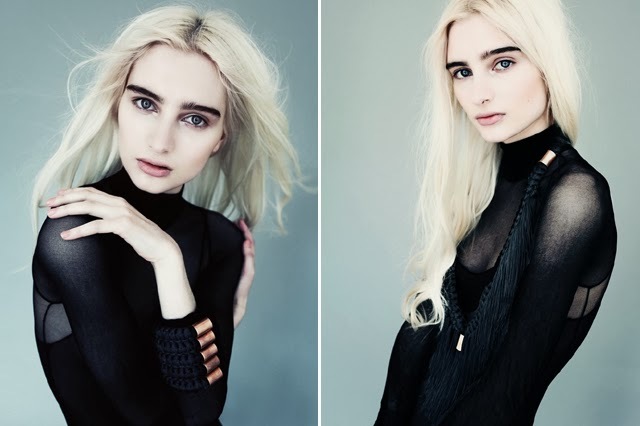 Jean Gardy necklace via Refinery 29. Black macrame from OuchFlower. 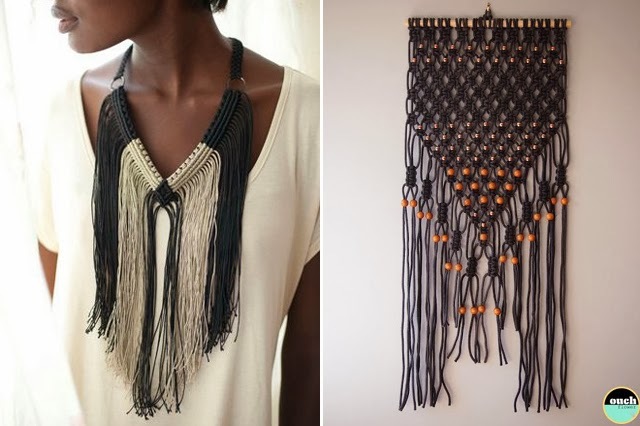 Stacked macrame cuff and macrame fringe necklace from Eleanor Amoroso.